Mid-blonde. 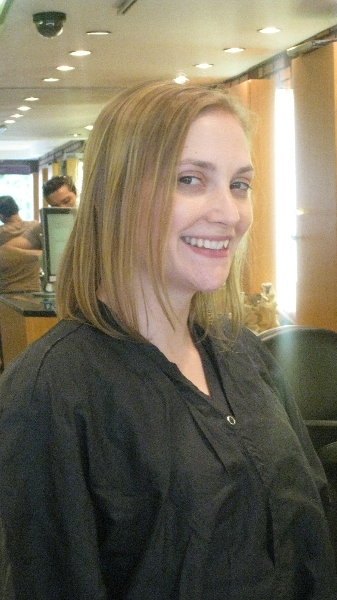 David gently brightened her base color and added subtle highlights. Past the shoulder length, with the front angle starting past Jade’s nose. 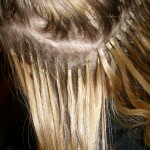 Long progressive layers, and chip into the hair extension hair to help it blend. 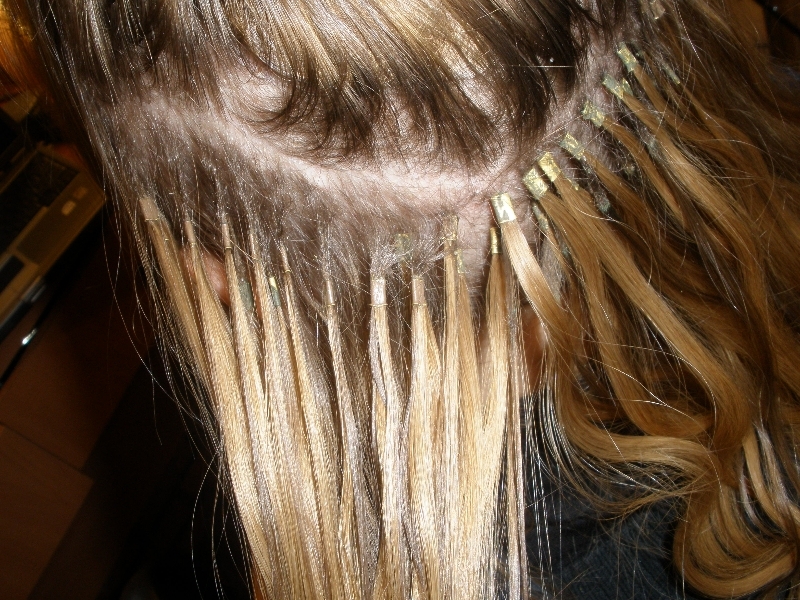 Two rows of large tipped, natural waved, premium hair extensions. Apply David Groshen’s Gel Mousse evenly throughout the hair. Use a small medium boar bristle brush at a 90 degree angle to create maximum volume. Allow each section to cool while still on the brush. 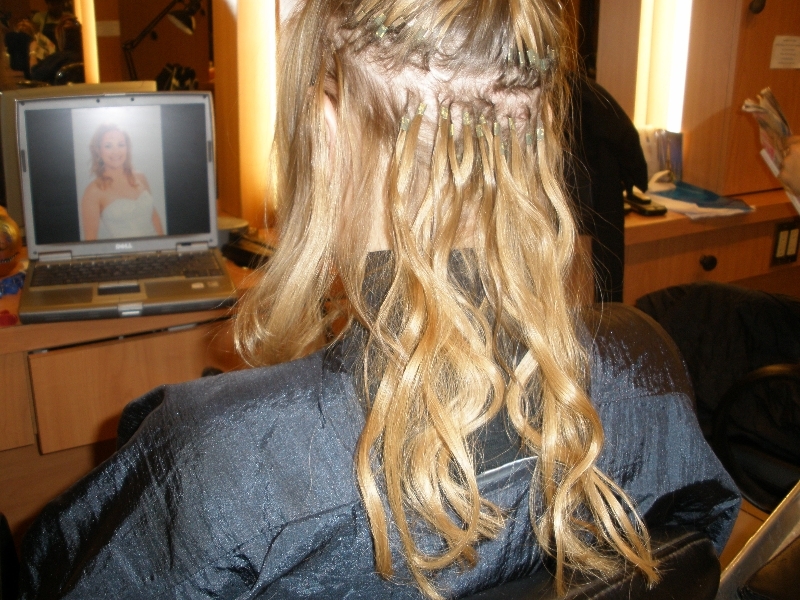 To add extra shape to the curls, use a 1 3/4″ round iron to 2″ square sections. Use David Groshen Hair Polish to smooth and define the curls. 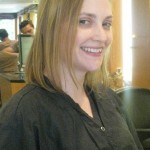 Use David Groshen Finishing Spray to hold the style.